"Boston Bronze and Stone Speak To Us", proudly reprints the article below celebrating another great Bostonian , immortalized in Bronze , Edgar Allen Poe walking the streets of Boston once again. BOSTON — Edgar Allan Poe had a love-hate relationship with the city of Boston. He was born here in 1809 and published some of his most famous works here. But he considered Boston writers self-important and preachy, and he said so. And Boston returned the sentiment. Ralph Waldo Emerson dismissed Poe as a “jingle man” for his simplistic style, as if the author of “The Raven” were writing television ads for toothpaste. Not surprisingly, little trace of Poe remains in this region’s august annals of literary achievement, overstuffed as they are with the likes of Emerson and Thoreau, Longfellow and Hawthorne. But Poe’s snarly past with Boston will be set aside on Sunday, when the city officially welcomes the master of the macabre into its fold with the unveiling of a statue in his honor. Other cities have long claimed a piece of the itinerant Poe. Baltimore, Philadelphia, New York and Richmond, Va., all have Poe monuments or museums of one sort or another. Now the city is burying the hatchet, and not in Poe’s back. 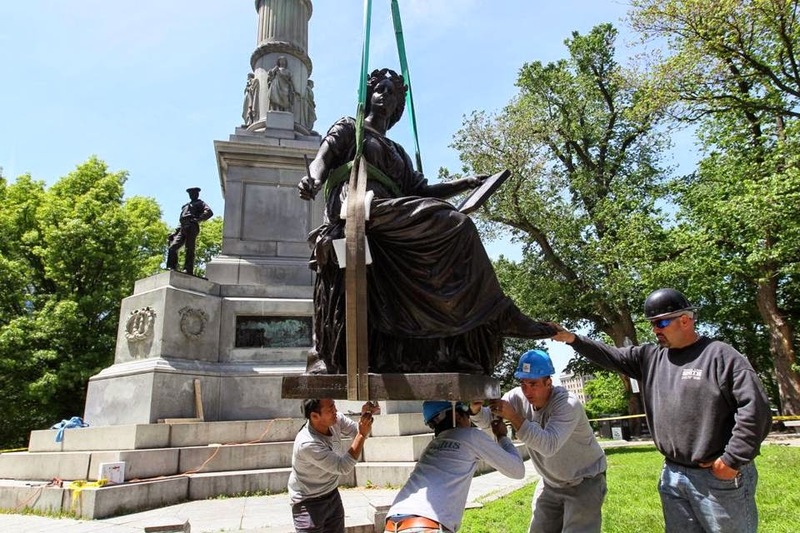 On Sunday, civic and literary folk, including Robert Pinsky, a former national poet laureate who teaches at Boston University, are to unveil a bronze statue of Poe near the Boston Common and, they hope, usher in an era of reconciliation. 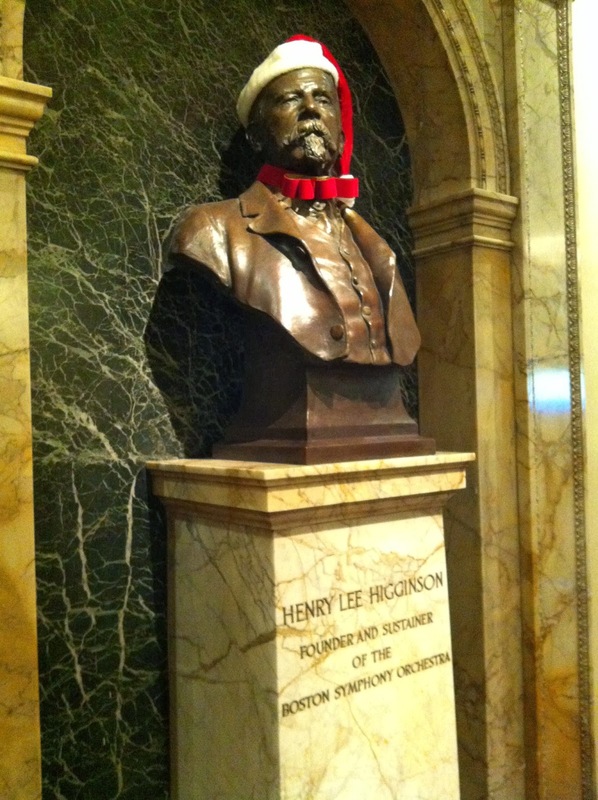 Boston has been preparing to welcome him back since the bicentennial of his birth in 2009. That year, Katherine Kim, a graduate student at Boston College, asked her English professor, Paul Lewis, why Boston was not part of the multicity celebration of one of America’s greatest writers. Poe’s mother had loved Boston. Her son Eddy, as she called him, was orphaned early and removed to Richmond, but he returned sporadically throughout his life. On his visits, Poe, who had become a literary reviewer so savage that he was called “tomahawk man,” came to loathe the city’s intelligentsia. He even investigated his fellow writers, a laborious task in the pre-Google era, and accused the revered Longfellow, author of “Paul Revere’s Ride,” of plagiarism — a charge that a Longfellow biographer later acknowledged had some validity. Fancying itself the Athens of America, Boston flayed Poe right back. Emerson derided “The Raven,” saying, “I see nothing in it.” Cornelia Wells Walter, editor of The Boston Evening Transcript, engaged in a long-distance smackdown with Poe after he gave a harried, poorly received reading at the Boston Lyceum. She ridiculed him for his “childish” effort. Poe wrote back that at least their spat had perked up the somnambulant citizenry. Poe predicted that Longfellow’s popularity would not endure, and Mr. Lewis said history had proved Poe correct. He said history had also shown that Boston played a crucial role in Poe’s development as a writer. Poe’s chief complaint about Boston writers was that they were didactic. They used their poetry and fiction to argue their causes — abolition, women’s rights, social reform. To Poe, such writing should entertain and move. He believed in art for art’s sake. “He who pleases is of more importance to his fellow man than he who instructs,” Poe wrote. By defining himself in opposition to the Boston writers, Mr. Lewis said, Poe found his own narrative voice. With these realizations, Mr. Lewis and others thought it time that Boston reconnect with Poe. The 2009 bicentennial set efforts in motion. The city joined in, renaming the intersection of Boylston Street and Charles Street South, near Poe’s parents’ house, in his honor. There was no gnashing of teeth over whether to embrace the city’s erstwhile antagonist. “It just seemed like a sensible proposition,” said Karin Goodfellow, director of the Boston Art Commission. Poe’s complex feelings about the meaning of art and his sense of place, she said, were part of the fabric of life. Thomas Menino, then the city’s mayor, also weighed in. The Boston Public Library sponsored an elaborate Poe exhibit. 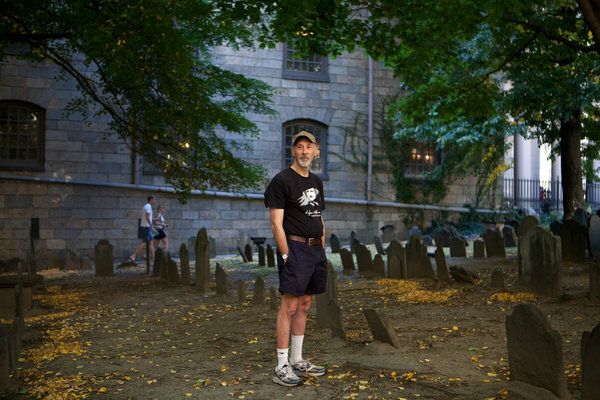 Dan Currie, a local historian, founded the Edgar Allan Poe Foundation of Boston to raise money for a statue. Among those at Sunday’s unveiling will be Ms. Kim, the graduate student whose interest helped spark Boston’s reassessment. Poe’s current popularity is evident in English classes here, which are brimming with enthusiasts. Accompanying Mr. Lewis on his recent walking tour were two dozen people, many of them Suffolk University students, who had given up a gorgeous fall Saturday to revel in Poe-mania. One of them was Anet Calisir, 18, who is majoring in marine biology but is enthralled by Poe. Mr. Jeffreys, who also joined the tour, found poetic — if ominous — symbolism in Poe’s belated return to the city that so long kept him down. Commodore John Barry Monument; Boston Common, another great Irish American Honored. Why did, Mayor of Boston, Michael Curley have a monument sculptured by John F. Paramino placed on Boston Common even though the commodore was born in Ireland and resided it Philadelphia? James Michael Curley, as so many Irish Americans, were proud of their Irish heritage and proud of their part in the making of America's history. This monument is just one of many stones dedicated to such great leaders in our country. John Barry (March 25, 1745 – September 13, 1803) was an officer in the Continental Navy during the American Revolutionary War and later in the United States Navy. He is often credited as “The Father of the American Navy". Barry was born in Tacumshane, County Wexford, Ireland and appointed a Captain in the Continental Navy on December 7, 1775. Few Americans are well-acquainted with the gallantry and heroic exploits of Philadelphia’s Irish-born naval commander, Commodore John Barry. Obscured by his contemporary, naval commander John Paul Jones, Barry remains to this day, an unsung hero of the young American Republic. As most naval historians note, Barry can be classed on a par with Jones for nautical skill and daring, but he exceeds him in the length of service (17 years) to his adopted country and his fidelity to the nurturing of a permanent American Navy. Indeed, Barry deserves the proud epithet, “Father of the American Navy,” a title bestowed on him not by current generations of admirers, but by his contemporaries, who were in the best position to judge. In the space of 58 years, this son of a poor Irish farmer rose from humble cabin boy to senior commander of the entire United States fleet. Intrepid in battle, he was humane to his men as well as adversaries and prisoners. Barry’s war contributions are unparalleled: he was the first to capture a British war vessel on the high seas; he captured two British ships after being severely wounded in a ferocious sea battle; he quelled three mutinies; he fought on land at the Battles of Trenton and Princeton; he captured over 20 ships including an armed British schooner in the lower Delaware; he au- thored a Signal Book which established a set of signals used for effective communication between ships; and he fought the last naval battle of the American Revolution aboard the frigate Alliance in 1783. Thank you to the women of The Most Blessed Sacrament Church for allowing me the opportunity to speak. With its tender caress, the sculptured War Nurses rightfully represent all nurses, in all wars, a moving masterpiece. Built largely of Pavonazzo marble this room houses Nurses’ Hall because of the statue of an Army war nurse located here. Sculpted in 1914 by Bela Pratt, it was the first statue erected in honor of the women of the North after the Civil War. Pratt traveled to Paris, where he trained with sculptors Henri- Michel-Antoine Chapu(1833-1891) and Alexandre Falguière . In 1892, he returned to the United States to create two large sculptural groups representing The Genius of Navigation for the World’s Columbian Exposition in Chicago. He also produced sculptures for the Pan-American Exposition at Buffalo in 1901. In 1893, he began a 25-year career as an influential teacher of modeling in the School of the Museum of Fine Arts, Boston. 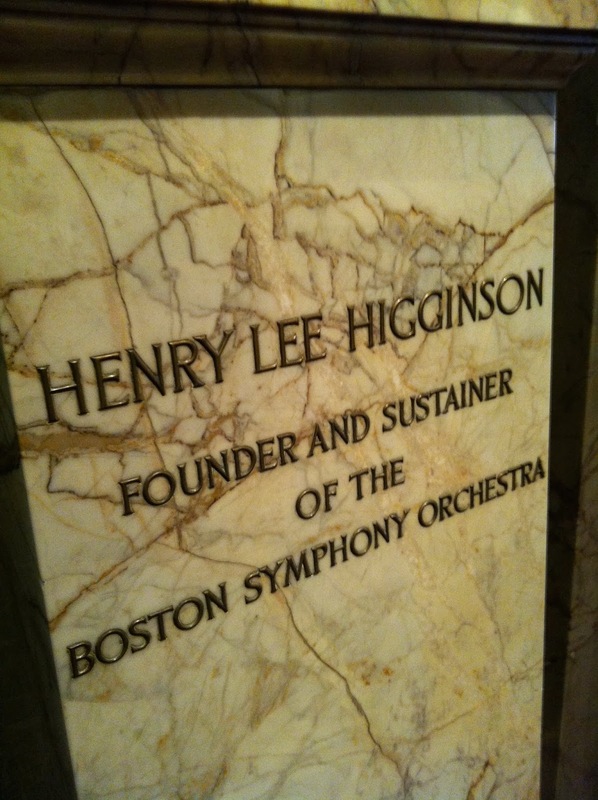 During this time, Pratt sculpted a series of busts of Boston’s intellectual community, including Episcopal priest Phillips Brooks (1899, Brooks House, Harvard University), Colonel Henry Lee (1902, Memorial Hall, Harvard University), and Boston Symphony Orchestra founder Henry Lee Higginson (1909, Symphony Hall, Boston). He became an associate of the National Academy in 1900. When Saint-Gaudens’ uncompleted group for the entrance to the Boston Public Library was rejected, Pratt was awarded a commission for personifications of Art and Science. Pratt continued Saint-Gaudens’ influence in coin design after 1907. His gold Indian Head half ($5) and quarter ($2.50) eagles are known as the “Pratt coins” and feature an unusual intaglio Indian head, the U.S. mint’s only recessed design in circula- tion. 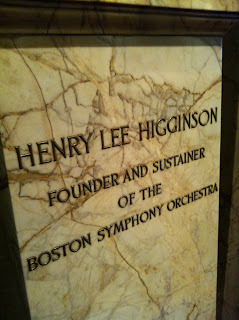 A retrospective exhibition of 125 of his sculptures was held at the Museum of Fine Arts, Boston in the spring of 1918. April 29 2014 at 7:30 PM IN THE MOST BLESSED SACREMENT CHURCH HALL LOCATED ON 1155 MAIN STREET, WAKEFIELD MA. The tale has been years in the making, but it appears the fate is set for a public sculpture in Boston of native son Edgar Allan Poe. The horror master who conjured creepy classics such as “The Tell-Tale Heart” and “The Raven” criticized Boston writers during his time here in the 1800s. And they reciprocated in earnest. Even so, a lot of people, including Boston College literature professor Paul Lewis, have spent years ardently defending Poe’s roots. Lewis chairs the Poe Foundation of Boston, which has been orchestrating fundraising efforts for the $225,000 project. The campaign to memorialize the Victorian author’s connections to Boston with a public artwork began in 2009. Now Lewis says it’s great to have arrived at this point in the notoriously long process. “The level of support we’ve received from the city, from donors large and small, demonstrates that Bostonians are ready — finally — to embrace Poe,” Lewis remarked, making sure to point out Poe was born in Boston in 1809*. A $10,000 grant from the Lynch Foundation cemented the project’s destiny. It also received money from the city of Boston through the Edward Ingersoll Browne Trust Fund. Modern horror writer Stephen King and his wife Tabitha contributed to the project as well, along with local businesses and private citizens/fans of the macabre. 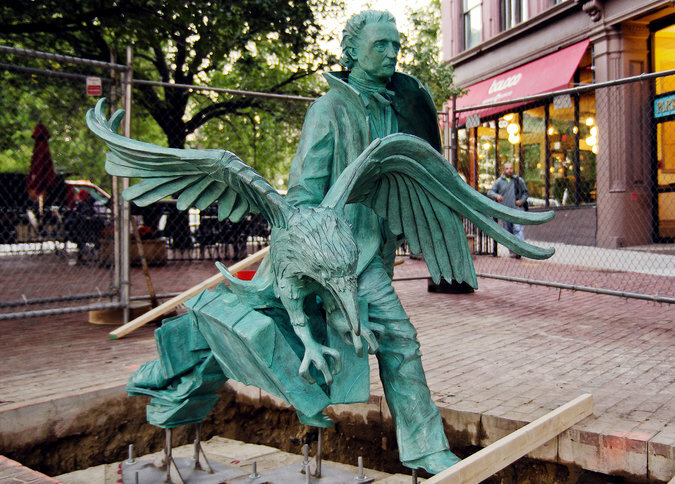 Artist Stefanie Rocknak’s bronze sculpture, titled “Poe Returning to Boston,” is being fabricated at New England Sculpture Services in Chelsea. Her design was chosen from a pool of 265 proposals. 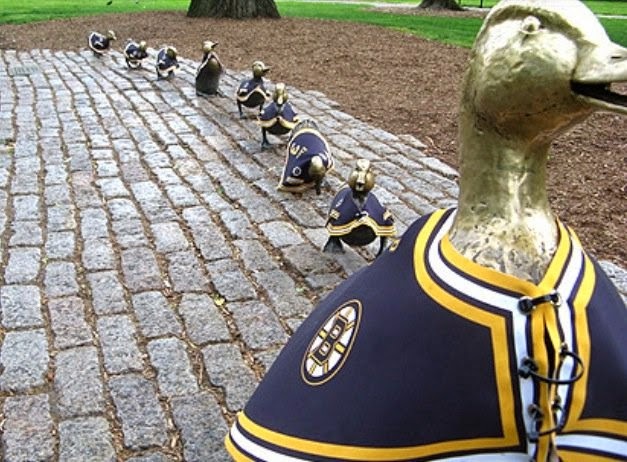 Rocknak looks forward to the day her striding figure will be secured in its final resting place at the intersection of Charles and Boylston streets. The unveiling is set for Oct. 4, just three days before the 165th anniversary of the writer’s death. "Boston Bronze and Stone Speak To Us" can be purchased at the following locations: Old North Church Gift Store, Bestsellers Bookstore Cafe, USS Constitution Museum Gift Sore, Museum Of Science Gift Store, Amazon.com, Barnes & Noble Book Stores.